Mohali (Punjab), Dec 9 : Indian business leaders Monday praised Punjab for offering an industry-friendly atmosphere, while the government claimed that investment proposals amounting to Rs. 55,000 crore were signed on the first day of a summit held here. At the two-day "Progressive Punjab" investors summit, Deputy Chief Minister Sukhbir Singh Badal led from the front, even making a powerpoint presentation on Punjab's initiatives for industry in a bid to urge industry leaders to invest in his state. Mohali, March 19 : Cricket Australia (CA) said Tuesday that fast bowler Mitchell Starc will return home and will undergo surgery to remove the bone spurs on his right ankle. Australian team doctor Peter Brukner said Starc will undergo surgery this week and his recovery will be assessed as he returns to bowling. Starc will miss the fourth Test against India. Mohali, March 18 : India's 3-0 victory in the Border-Gavaskar Trophy series is the first against Australia in their Test history. The victory here Sunday is India's eighth in ten Tests against the visitors at home since their last defeat in Nagpur in 2004, the other two being draws. It is also the first time in 25 years that Australia have lost the first three matches of a series. Allan Border's side lost 3-1 at home to the West Indies in 1988-89. Mohali, March 18 : Australia skipper Michael Clarke was happy with the way his boys showed some character in the third Test but gave the credit to India for winning the third Test at the Punjab Cricket Association (PCA) Stadium here Monday. "I think we showed character. But we have to give credit to India," said Clarke, after Australia surrendered the Border-Gavaskar Trophy. Clarke said the start provided by Shikhar Dhawan (187) and Murali Vijay (153) was the key. The duo added 289 runs for the first wicket. Mohali, March 18 : India's debutant opener Shikhar Dhawan said it was important for him to play his natural game as his 187 runs in the first innings helped India beat Australia by six wickets and take an unassailable 3-0 lead in the four-match Border-Gavaskar series. Dhawan and Murali Vijay (153) strung together a 289-run partnership for the first wicket in the first innings which proved to be decisive. "I would like to thank god and my family," Dhawan, the man of the match, said during the post-match presentation. Mohali, March 18 : India won the third Test against Australia by six wickets to take an unassailable 3-0 lead in the four-match series here Monday. India took 33.3 overs to overcome the 133-run target. Mahendra Singh Dhoni (18) and Ravindra Jadeja (8) took India home. Mohali, March 16 : Shikhar Dhawan stole the show with the fastest century on debut as India raced to 156 for no loss in their first innings at tea on the third day of the third cricket Test against Australia at the Punjab Cricket Association (PCA) Stadium here Saturday. Dhawan was batting on 106 and Murali Vijay 42 as India reduced the deficit to 252 by the team break. Dhawan, 27, got his runs rapidly and struck 21 fours during his 91-ball unbeaten stand. Vijay played the role of second fiddle and gave good support to Dhawan. Mohali, March 16 : Shikhar Dhawan cracked an unbeaten century on his debut to help India reach 156 for no loss at tea on the day three of the third cricket Test against Australia at the Punjab Cricket Association (PCA) Stadium here Saturday. Mohali, March 15 : Australia ended day two of the third cricket Test against India at 273 for seven at the Punjab Cricket Association (PCA) Stadium here Friday. Opener Ed Cowan (86) top scored for the visitors and received ample support from his opening partner David Warner, who scored 71. Mohali, March 15 : Australia's Test great Alan Border feels that introduction of young players like Steve Smith in the team will energise the Michael Clarke-led side against a confident India. Border, who is here as a TV commentator for the Border-Gavaskar Trophy, said he had a good chat with Clarke Thursday afternoon on the state of affairs in the Australian cricket. Australia are trailing 0-2 in the four-Test series after suffering heavy loses in Chennai and Hyderabad. Mohali, March 15 - Australia reached 109 for no loss in the first innings at lunch on the second day of their third cricket Test against India at the Punjab Cricket Association (PCA) Stadium here Friday. Opening batsmen David Warner was batting on 54 and Ed Cowan on 43 after skipper Michael Clarke opted to bat. The first day of the Test was washed out due to rain without a ball being bowled. India made a change by dropping local hero Harbhajan Singh, who made way for Pragyan Ojha. Debutant Shikhar Dhawan got his Test cap from Sachin Tendulkar. Mohali, March 14 : Australia's young batsman Steve Smith Thursday said he has vastly improved as a player since he was dropped from the team after the Ashes defeat at home 26 months ago. "I've probably always been more of a batsman than I was a bowler. I think I've improved a lot in the last 12 to 18 months," Smith said here. The 23-year-old was set to make his sixth Test appearance at the Punjab Cricket Association Stadium here Thursday, but rain played spoil sport as the first day's play was abandoned without a ball being bowled. Smith said he made a couple of changes to his technique that made him more stable. Mohali, March 14 : Australia skipper Michael Clarke will bat at No. 3 while Brad Haddin will be keeping wickets against India in the third cricket Test that will resume Friday after the first day's play was washed out without a ball being bowled due to heavy rains here Thursday. Haddin, who was flown in as replacement for the injured Matthew Wade, will be playing his first Test in more than a year. Haddin was part of the series in the West Indies in January last year but left the tour mid-way due to personal reasons. Mohali, March 13 : Australia skipper Michael Clarke said Wednesday that Shane Watson can again take up the role of vice-captain and was free to return to the side for the fourth Test against India starting March 22 in New Delhi. Watson rushed back home to Sydney to be with his wife for the birth of their first child. But Watson has also made his displeasure public after he and three others were given a one-match suspension for disciplinary reasons. Watson termed the suspension as 'harsh' and said he was shattered. He is also contemplating retirement from Test cricket. Mohali, Jan 23 : India beat England by five wickets in the fourth One-Day International (ODI) here at the Punjab Cricket Association Stadium Wednesday. Put in to bat, England made 257/7 in the 50 overs, which India chased down in 47.3 overs. Mohali, March 30 : The much anticipated India-Pakistan World Cup semifinal got off to a rousing start Wednesday with the prime ministers of both countries, India's Manmohan Singh and Pakistan's Yousuf Raza Gilani, meeting the players of both the teams. The Pakistani national anthem was played first and then the Indian "Jana Gana Mana" in the packed stadium. As the strains of the Indian anthem died down, the stadium erupted in a roar and the two prime minister accompanied by Sharad Pawar, president of the International Cricket Council, walked into the field. 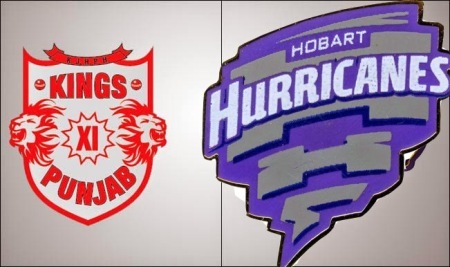 Kings XI Punjab led by skipper Kumar Sangakarra will play today against Kolkata Knight Riders (KKR) in the league match of the Indian Premier League (IPL-3) at the Mohali. Punjab is placed at the bottom of the point table with just one win out of the five matches. Punjab has won only one match against Chennai Super Kings in the super over while in all other four matches they were thrashed by their opponents. Punjab may decide to play Bret Lee and Shaun Marsh even if they are not fully fit. Mahela Jayawardene had not played well in the last matches and he is likely to be rested for this match. Mohali, Dec 15 In the backdrop of the Copenhagen climate change summit, Punjab Cricket Association (PCA) is holding talks with the United Nations Environment Programme (UNEP) to reduce its carbon footprint. The Association is aiming to become the first carbon-neutral cricket association in the country by taking measures to cut back on its carbon emission at its stadium in Mohali. Mohali (Punjab), Dec 15 : Indian fast-bowler S. Sreesanth was discharged from Fortis Hospital here Tuesday evening after recovering from influenza A (H1N1) virus, officials said. Sreesanth was admitted in this hospital last week Thursday with symptoms of body ache, fever and sore throat. The hospital authorities took his throat and nasal swab samples and his test report came positive. "Sreesanth has now recovered from swine flu after being administered a full course of Tamiflu and hence has been discharged from hospital," said Ashish Banerji, director of Fortis Hospital, here Tuesday.